Be a sharp dressed man at any age! This seersucker patchwork patterned necktie attaches with Velcro .. 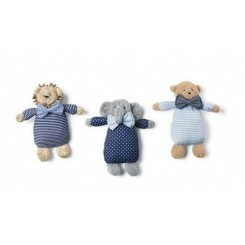 This stuffed animal comes with its own wearable bowtie!3 styles: lion, bear and elephant. 2-piece se..
Forgot your tie? 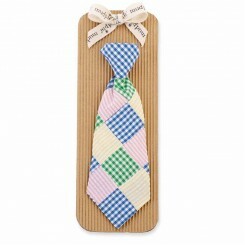 No problem, this clip-on plaid necktie has Velcro loop to attach pacifier.Add..
3-piece set. Friendly plush elephant wears mesh tutu and two coordinating pairs of ballerina socks.S.. It's a bow... it's a toy... it's super plush! This 2-piece set includes plush stuffed animal w..
2-piece set includes plush animal rattle tucked inside fabric 'pocket' on multi patterned cotton bur..
You will get oodles of photos and compliments form this spectacular little crown. A true jaw-d.. The extreme in fancy and fun! The Ruffle Flower Trail hat is a great look for fashion forward ..
BABY KNIT STARLIGHT HEADBANDAvailable in:One SizeSIZINGMany of our knit hats are made from a very st..
You don't have to be a football lover to love this. The 2-piece Newborn Baby Football Kni..
You will make headlines with this 2-piece set! 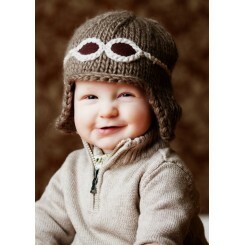 Includes a crocheted newsboy cap and hand k.. The super-bib! Get messy, and stay dapper on any Fall or Winter occasion. This thick corduroy bib fe..
Is it a collared dress shirt? No! 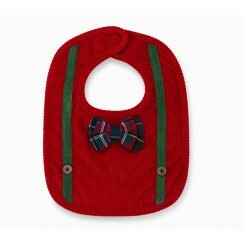 It’s a fancy shmancy bib! Bib features velcro cl..